The ground at the Villa Louis Mansion will once again shake from the roar of cannons and rifle volley fire at the War of 1812: Battle of Prairie du Chien event. This annual event highlights an important turning point in Wisconsin’s history as the battle is re-enacted on the very grounds it took place on in 1814, over 200 years ago. Guests of all ages will be able to experience the true-to-life event through a variety of hands-on activities and re-creations. The event occurs within the beautifully landscaped grounds of the Villa Louis Mansion in Prairie du Chien. Guests will observe War of 1812 living history enthusiasts set up American and British-Canadian encampments on the west lawn of Villa Louis. 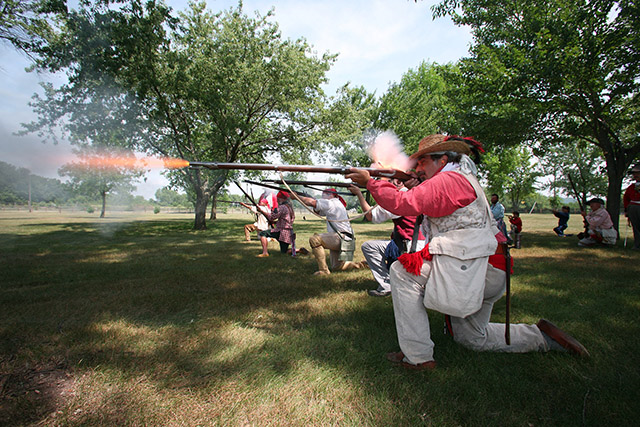 Learn about the British assault on U.S. Fort Shelby in a battle scenario at 2:30pm both Saturday and Sunday. This narrated battle re-enactment will also include rifle and cannon fire. 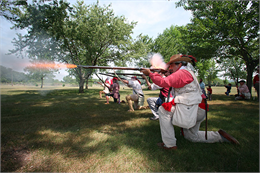 Following the battle, tour the camps, learn more about military life in 1814, and enjoy hands-on activities for all ages. The Villa Louis Mansion will be open for tours throughout the event, and food and beverages will be available for purchase. Click on the Register Now button for more information and tickets.